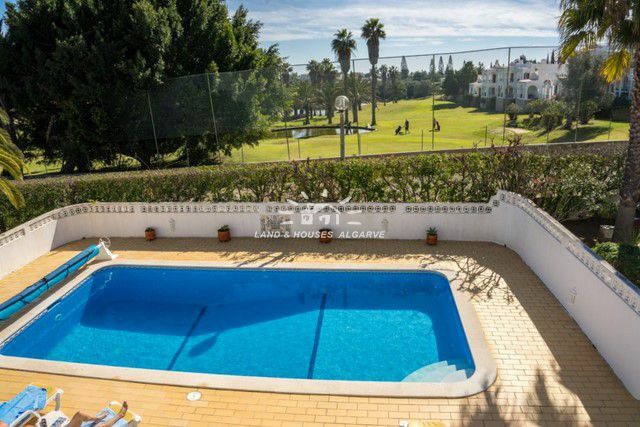 Charming single-storey property is located in a sought-after area close to Carvoeiro in the western Algarve in a popular golf resort close to beaches and amenities..Gated entrance and driveway with ample parking for 7-8 cars leading to the north side of the house. Welcoming hallway into a comfortable living room with a built-in wood burning stove and IPTV, adjoins a double height dining room with domed ceiling providing more light and a feeling of space. 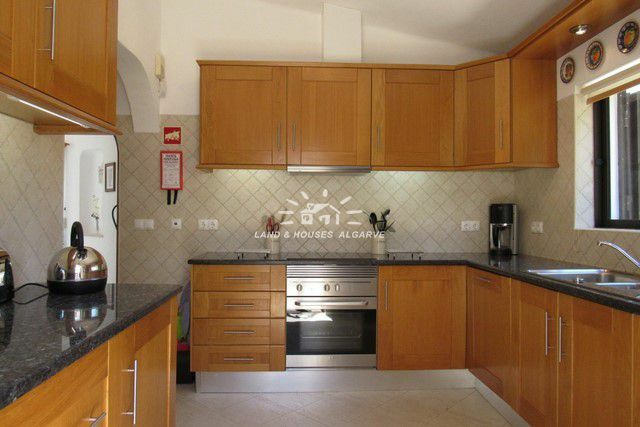 The kitchen has been renovated in a modern style and is fully fitted and equipped with quality appliances including a large American style fridge/freezer. Sunny back patio and drying area with 3 store/utility rooms. Two en-suite bedrooms lead off the sitting room and a door from the dining room leads to the east wing lobby which gives access to two further bedrooms and a large family bathroom. 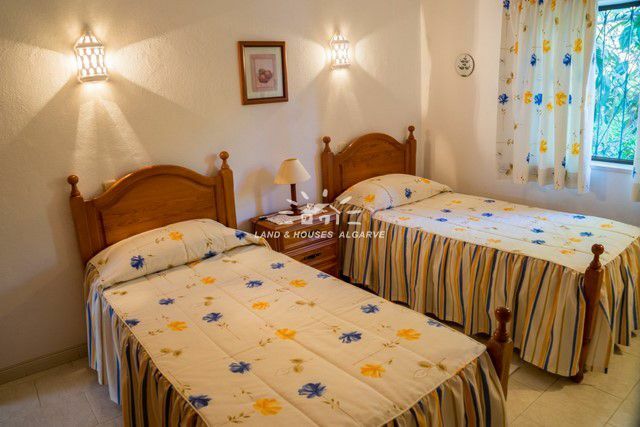 All bedrooms have fitted wardrobes and three have built-in dressing tables. The living room and three of the bedrooms open directly onto the large south-facing pool terrace providing sun and shade and an idyllic outdoor dining and entertainment space. There are two barbeque areas - one by the pool with extra seating and the other in the quiet, shaded courtyard. From the courtyard there is access to the roof terrace with wonderful views across the golf course to the sea. Low maintenance back garden with many trees, bushes and Mediterranean plants. The 9.0m x 4.5m mosaic-tiled, heated pool has a shallow end of 1.2m and deep end of 2.1m. The Vale do Milho development with its renowned nine-hole, par 3 golf course is on your doorstep. 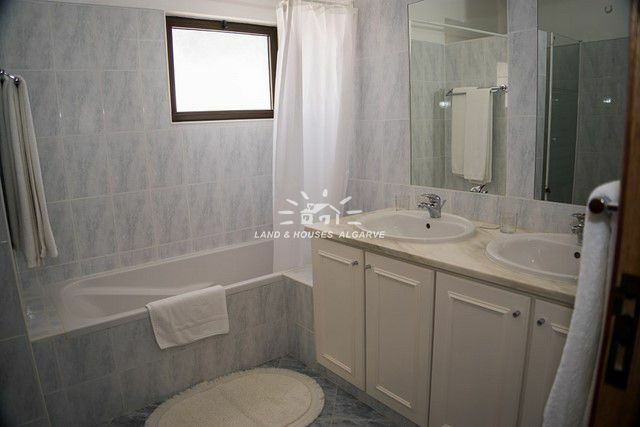 Five minutes walk to the beach at Centianes. Shops and a good choice of restaurants are very close by. 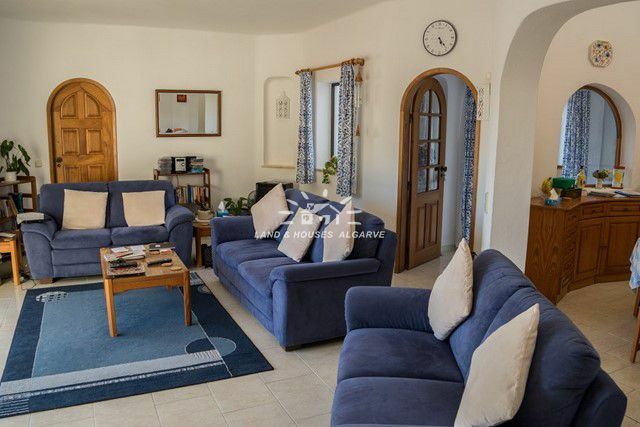 A short drive takes you to the charming former fishing village of Carvoeiro.Perfect residential property or second home with excellent rental potential.